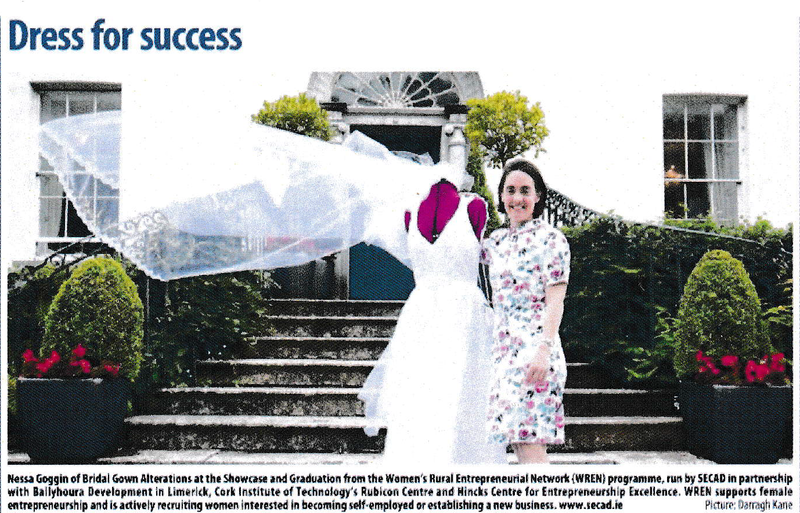 WREN - Women’s Rural Entrepreneurship Network project, aims to promote entrepreneurial skills among women in Cork and Limerick rural areas. The programme supports those who have business ideas and/or want to become self-employed or who are already in the early stages of business development. CIT's Special Purpose Award (SPA) in Enterprise Development, Level 6 (20 ECTS credits), an accredited four module programme delivered over two semesters, is offered to participants of the WREN programme. The programme allows participants the opportunity to focus on their business idea in a structured group environment. The modules include business planning, feasibility, finance and funding and personal development. Along with one-to-one and group mentoring, the participants receive advice from organisations, enterprise support agencies and female role models. As academic lead on the programme, the Hincks Centre works closely with the Rubicon Centre, project organisers South & East Cork Area Development (SECAD) and Ballyhoura Development in Limerick. The programme is co-funded by the Irish Government through the Department of Justice and Equality and the European Social Fund as part of the ESF Programme for Employability, Inclusion and Learning (PEIL) 2014 - 2020 to promote entrepreneurial skills and business start-up amongst women in the region.